Large enough to lead and small enough to care. 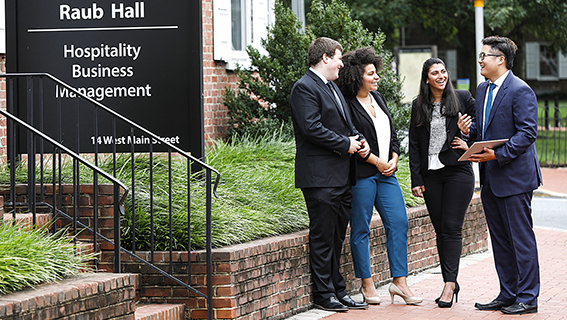 The Lerner College hospitality business management department (HSBM) is ranked 4th among hospitality programs in the country and in the top 25 in the world. Our resources – of faculty, facilities and learning experiences – make us a leader among hospitality programs, yet we pride ourselves on how we care for each student personally. You can see this combination of excellence and personal attention not only in our students, but in the success of our graduates. We believe in learning by doing. Our students make the transition from student to professional effortlessly because of the real-world learning experiences they have during their time at the Lerner College. From our high-tech facilities to our advanced practicums, opportunities for hands-on learning are woven throughout the curriculum. 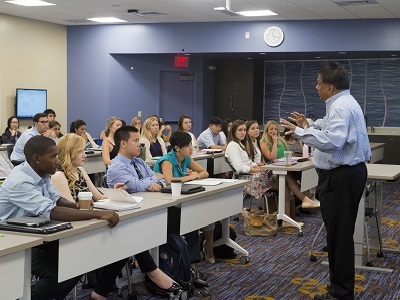 The Marriott Center for Hospitality and Tourism includes the state-of-the-art ALICE (Advanced Learning Interactive Classroom Environment) classroom and the Courtyard Newark at the University of Delaware. During the Lodging Practicum, students apply what they’ve learned as they rotate through different staff positions in the hotel. Many recruiters attribute our students’ strength in comparison to graduates of other programs to the first-hand experience they build here. 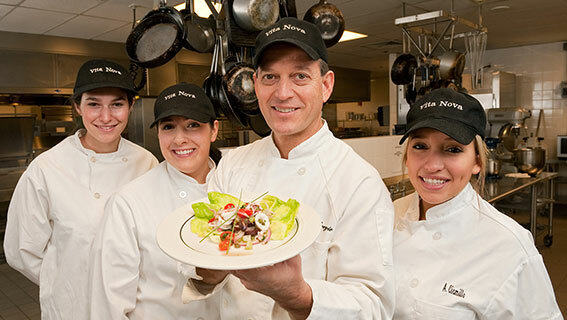 Vita Nova fine dining restaurant serves as a learning laboratory for students as they gain hands-on experience operating the kitchen and dining room. It also happens to be ranked in the Top 5 fine dining restaurants in the Philadelphia area by OpenTable.com. 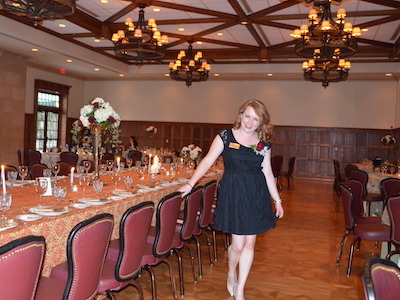 Students interested in creating successful and memorable events get hands-on experience during the Event Management Practicum. The practicum, coordinated by faculty and supervised by professional meeting planners, involves students in the planning and delivery of key events at the university. All of this preparation adds up: 95% of hotel, restaurant and institutional management graduates were employed or pursuing further education after graduating in 2017. Supporting their search for the right job is our own hospitality-dedicated career fair and our annual networking event. Both draw leading recruiters from the industry like Marriott, Hilton, Hyatt, Darden Restaurants, Deloitte Consulting and more. The Lerner to Leader Program takes students inside industry corporate headquarters, giving them the opportunity to meet and network with executives. Over 50% of our students go abroad for credit. Students can spend a semester abroad in Switzerland at the Swiss School of Tourism and Hospitality, or in Italy at the SIAF campus in Volterra. A variety of UD Winter and Summer Session programs take students around the globe, experiencing other cultures in places such as Australia, Barbados, Costa Rica and South Africa. Another exciting facet of the hospitality industry is the opportunity for analytical careers such as digital marketing, consulting and valuations, revenue management and more. 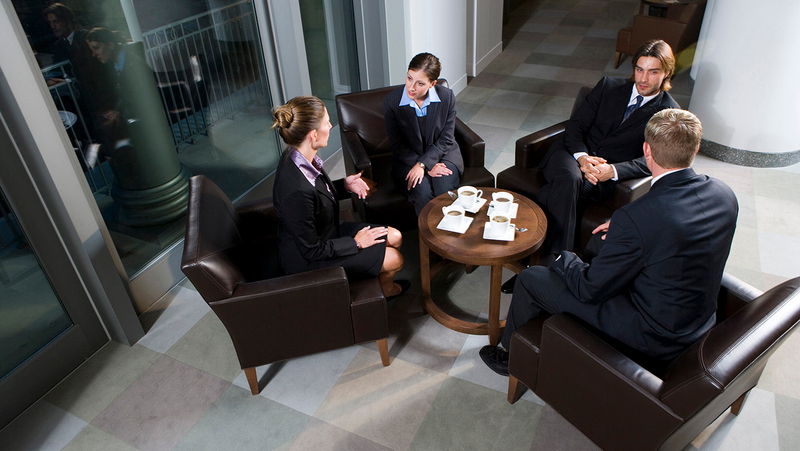 In the hospitality industry management major, students choose their own educational path from a wide range of courses. Students are mentored by successful alumni, which prepares them for employment as they get closer to graduation.